Gallagher Plumbing Inc - Family Owned and Operated. Serving Orange County CA since 1982. 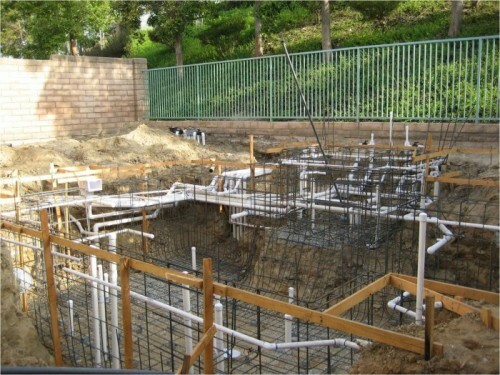 Gallagher Plumbing, Inc. is an experienced, innovative plumbing company providing services in all aspects of plumbing including swimming pool plumbing throughout Southern California. Our services consist of commercial and residential applications for new construction and remodeling. With over 30 years of experience we create a progressive design that will meet your plumbing expectations. Gallagher Plumbing is a family business that came highly recommended to us. They arrived within 24 hours (and would have been there even sooner if it had been an emergency). They quickly quoted our huge plumbing project and beat the price of several other competitors both large and small. They successfully re-routed our plumbing so it was no longer under the slab of our house spanning through 4 separate areas in our house. Most of the work was done in our garage. The other companies told us to expect a lot of demolition damage. But instead of creating a 4 feet by 4 feet hole in our floor in our bathroom, they did an incredible 1 foot by 1 foot hole so we could replace it with a single tile. Now that was impressive! We had several questions and they patiently addressed them all. We wanted to inspect and save pieces of damaged pipes just in case we needed it for insurance purposes. We asked for a look at the work as it progressed and per our request they kept us informed every step of the way. They did the job in the time promised and were so clean, efficient and courteous. We highly recommend them and have been sharing their praises with all of our friends, family and just about anyone who’ll listen! Doug, Rona and Jason Gallagher were a delight to work with. Thank you Gallagher Plumbing, you really took great care of us! 30 Years Of Excellence. Experience You Can Count On.